The nice thing about standards is that there's so many to choose from! Every country wires the NATO socket a little different. Some adhere fairly closely to the "STANAG 4007" standard, some just did it their own way! 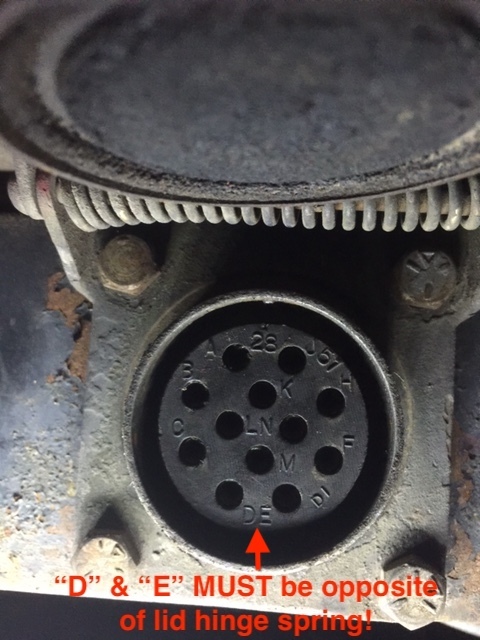 You MUST notify us when using an XM381 converter cable on a non-US tow vehicle to ensure the converter's NATO plug is wired to match your truck. We will most likely request that you verify your vehicle matches the pinout based on it's country of origin, you'll need a meter or test light. It is very common to find the NATO socket installed wrong! Pins "D" and "E" must be opposite of the lid hinge spring. See pic, click to enlarge. 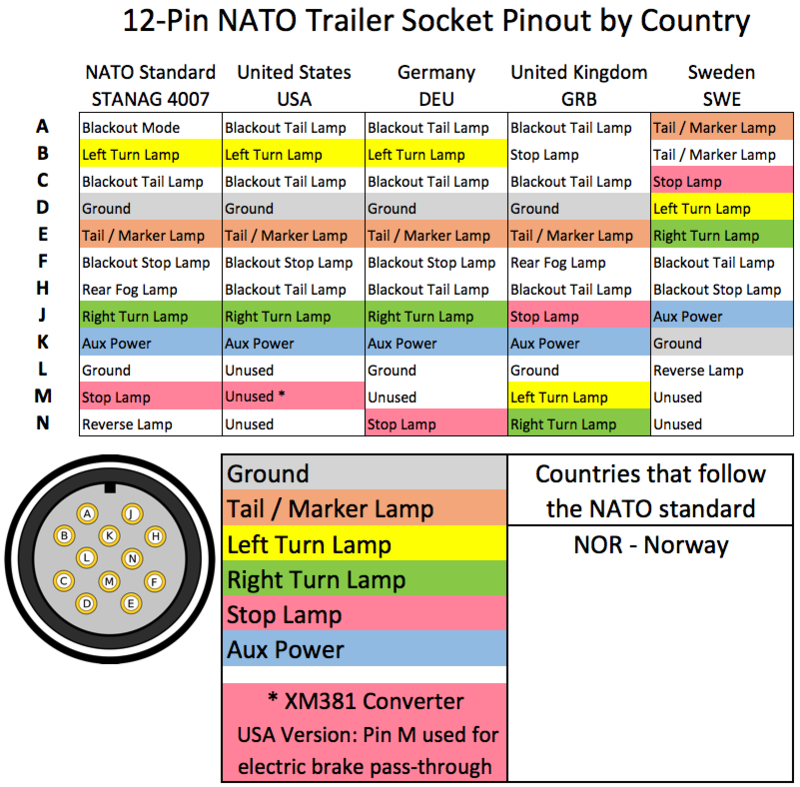 NATO sockets mounted at the Pintel Hook on some Tractors and 5-Ton Trucks may be upside down, which causes interference between the Converter Cable's NATO plug "lid" and the pintel hook. 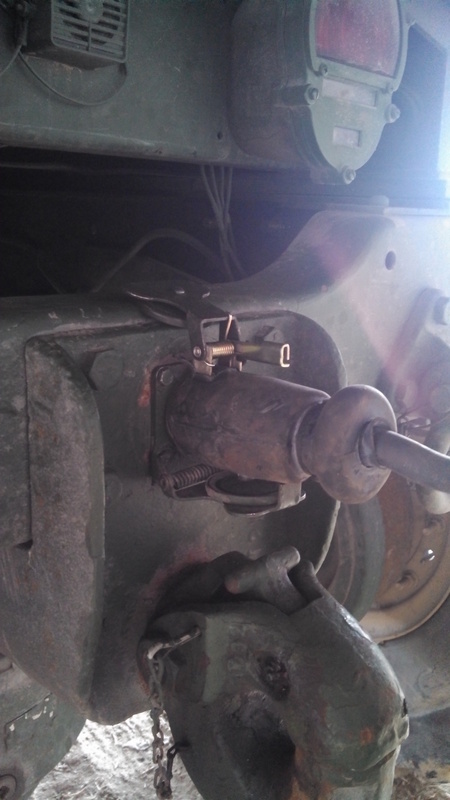 Simply unbolt the socket and rotate BOTH the socket and lid. This is the correct orientation (click image for larger version). If you have wiring information for other countries or variants, please pass it on to us to help the next person with a similar vehicle.